Dubai has made some changes in residence visa rules with effect from 1st May 2014. As per the new visa rules a person working in a private company should have Dirhams 10000 salary or Dirhams 9000 plus accomodation in labour contract to sponsor his wife and children on residence visa. Earlier this was Dhs. 4000 or Dhs.3000 plus accomodation. who are already living in Dubai. The labour contract must be attested from the immigration department. General Directorate of Foreigners and Residency Affairs informed that the new rules will be strictly followed. The changes will not affect the residents who already have a residence visa and they can renew it with the old labour contract. The list of documents required for a family residence visa includes the spouse’s recent passport photograph, passport copies of both husband and wife, and children, and a copy of the applicant’s valid residence visa. Visa Application forms are available at accredited typing centres at the headquarters of the GDRFA in Al Jafliya area, or at any of the over 20 external centres. A salary certificate for government employees or a contract of employment for private staff is also a must. The applicant will also have to bring an attested marriage contract, a tenancy contract, a recent electricity and water bill, a copy of the Emirates ID card, medical insurance, as well as an attested birth certificate in the case of children. DNRD officials clarified that the conditions remain same for visit visas for families — Dh4,000 or Dh3,000 with company accommodation. “Applicants of all nationalities except two countries need to be drawing a monthly salary of only Dh4,000 or Dh3,000 as well as accommodation as was the case before,” he said. 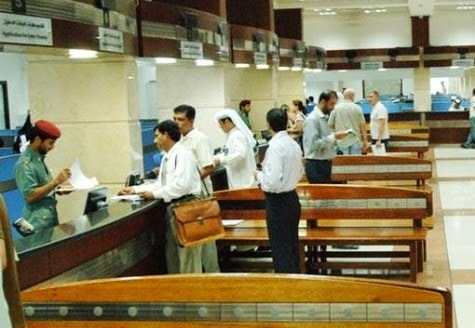 “Only Egyptian and Syrian applicants for a family visit visa are required to be drawing a monthly salary of Dh,10,000 or Dh9,000 plus accommodation – the same condition as in family residence visa,” he said. The DNRD officials has reported that the reports came in the media is wrong and the salary limit for sponsorship remain same at 4000 Dhs as per UAE Visa rules.